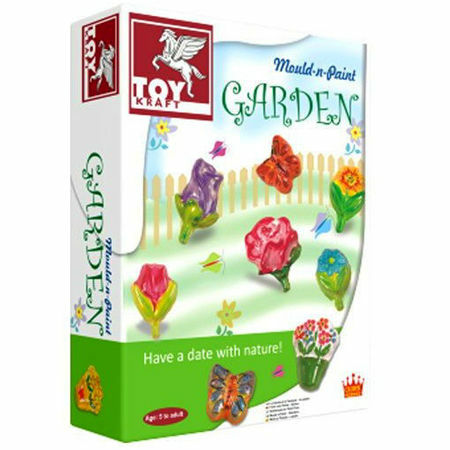 Craft Mould & Paint Garden Fridge Magnets is a fantastic little craft set with a lovely garden and insect theme. All you have to do is fill the moulds with Plaster of Paris, attach the magnets and when they are dry remove the mould and paint in whatever colours and designs you want. We like this because: "Very sweet flowers and insects a lovely gift to give to grandparents and friends when they are finished." I was pleasantly surprised at the promptness my order was delivered as this the first time I have purchased on line and will certainly do again and the quality of the toy is excellent thank you.